Ecommerce can be a very lucrative choice of online business. To ensure you maximize your potential, here’s how to use an adwords campaign for your new store. Did you know around $100 million spent on digital advertising don’t yield results? This could be due to a number of reasons, like bots, and ineffective strategies. This highlights the importance of a good strategy so as not to waste time, money, and effort. The same is true in Google AdWords; your success will depend on your strategy. Although it makes it easier to come up with an AdWords campaign strategy, the responsibility of making it work still lies on you. If you want to know how, read on and learn how you can make Google AdWords work for you. Google AdWords marketing will help you reach your target customer, but you must know who that is. What age group is your customer in and what do they do for a living? If you’re selling shoes, which demographic group is more interested in them? Upon finding the right persona, AdWords will then help you reach your ideal customer. You can do this by targeting certain locations and bidding on keywords. This brings us to researching keywords, which is always a must for content marketing. With AdWords, though, you’ll need to do some additional steps, as you’ll need several groups of keywords. For example, you’ll need a group of keywords for men’s shoes, then a different one for women’s shoes. You’ll need one for every category in your online store, and all these keywords should be specific to the category. This expresses intent, which means they’re more likely to convert upon visiting your site. The good thing about it is that it’s more focused, hence they may not be as expensive as general terms. AdWords offer a lot of features for advertisers and a lot of settings to tweak. You’ll have to familiarize yourself with all of them to be able to maximize its use. For example, it offers different bid strategies and allows you to set your goals. You may put ad extensions, as well, like additional sites under the main ad, a call extension allowing users to call your business with a single click, and other business information. After publishing your ad, you may then explore and track your metrics. You can track the impressions and conversions on the Google AdWords dashboard. It also has suggestions on what you can do next or how you can improve your ads. Remember the categories and groups of keywords mentioned above? You’ll then need to create a relevant ad for each one. Take into account their intent and their goals; then, show them what they want through your ads. If your target customer is in the younger crowd, know what will make him interested. Is it the latest shoe model of a hip brand? If they’re professionals, they would be more interested in shoes they can take to work or meetings. When creating the ad itself, also write down some messages you want to get across to the audience. It could be a special feature of the product or an on-going promotion. Mention what makes it different from other products that would want to make users want to click your ad instead of your competitor. The last is to determine a good CTA word that will get them to click on your ad. The beauty of AdWords is that you can use A/B testing, in which you can use different wordings on the same ad. This will allow you to see which will perform better and use that information to create your other ads. You’ll also need a different landing page for every category and group of keywords. If your ad is about men’s shoes, don’t lead the visitors to your home page. Instead, lead them to the men’s shoe section of your store. This would help them find what they’re looking for faster. It will also prevent them from leaving your website, which happens if they feel misdirected by the ad. Use visual cues in your landing pages. In our example, you could turn to a well-dressed man in a pair of suit shoes or an athletic woman running on the track. Whatever you’re selling, you can make them interested through images. You could also create a different landing page for each product, like an exclusive model you have. Make sure to include a clear CTA to direct visitors to convert. In the e-commerce industry, you can utilize all of the campaign types in AdWords. In particular, Google Shopping caters to online stores. Learn about it and the other campaigns below and see how you can use them to increase your sales. In this campaign type, you bid for a keyword or a group of keywords that will trigger your ads. When someone searches for that phrase, Google might then show your ad on top of the search results. As the number 1 result in SERP gets around 38% of the clicks, it’s important to stay on top. AdWords will get you there through ads. This is fine since most of the users don’t know or don’t care that the first results are ads. This allows you to target only the people who already have an interest in buying a product. If you sell men’s running shoes, for example, and you bid for the relevant keywords, a user searching for “running shoes for men” would then trigger your ad. In this campaign type, your ads will appear instead on partner websites as banners. It doesn’t take advantage of the intention that a searcher would have. Rather, it appears on websites where a potential customer might lurking. Don’t worry, though, as you’ll still be able to reach the right customers through it. It can help you find new customers who might not be looking for your product on purpose but are still interested in buying. It’s also great for remarketing to previous customers and visitors. This works because they’ve already purchased or expressed interest in your business. A little push could be all they need to buy (or repurchase) from your store. There’s also a campaign type that allows you to get the best of both worlds. When you choose this, your ads will appear on both the Search Network and the Display Network. While you’ll need to do everything you would do on the Search Network, bidding becomes automated for the Display Network. This one may be the most useful one for e-commerce sites as it will not only trigger your ad, it will also trigger the product itself. In this campaign, your ad will also appear on top of the search results, but it appears as a product listing. It comes with a picture of the product, the name of the product, the price, and the website. It may even come with star ratings. Remember that you must follow Google’s specifications in organizing your product feed. Use SEO on your product titles and descriptions. Make sure the product image is clear, showing a full frontal view on a white background. This allows you to set up video ads that will appear on YouTube, on Display Network Sites, games, or even apps. This is pretty useful as a whopping 72% of consumers prefer video ads than text marketing. What’s good about this is that you can insert buttons within the video that takes the interested buyers straight to your website, where they can buy the product. If your online store has a dedicated app, Google AdWords has a campaign type for that. AdWords makes it easy as you don’t need to write up a separate ad for this campaign. Instead, it will get the details it needs from your app listing and pick the ones that work the best. All you have to do is to set a budget and a starting bid. You’ll also have to provide other details like locations and supported languages. 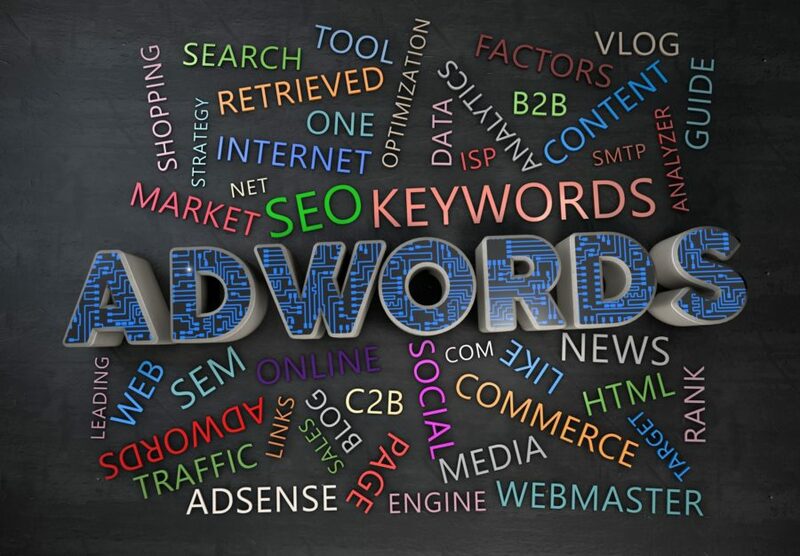 Your ads will then appear on the Google Search Network, the Display Network, YouTube, and Google Play, and other Google’s properties and partners. Do note, however, that this will only help you improve your installs. Whether the user buys from the app or not is another matter, which will then on your app design among all others. Knowing the right formula for an AdWords campaign takes time and practice, but you can do it. For those who don’t want to be as hands on that is where we come in. Contact us today to find out how we can help improve you next ad campaign. We proudly serve Lower Alabama including Fairhope, Daphne, Spanish Fort, Gulf Shores, Orange Beach and Mobile. We also have additional locations in Nashville, TN and Melbourne, FL.